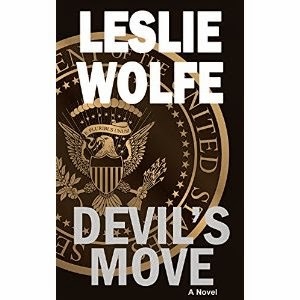 "Devil's Move," by Leslie Wolfe, is a political thriller that kicks off with a bang and doesn't slow down until the very end. The protagonist, the jack-of-all-things-spy-related, Alex Hoffmann, finds herself caught up in an elaborate Election Day terrorism plot. The plot, set in a variety of locations, is filled with twists and turns. There is plenty of action and suspense throughout the novel, although plenty of time is devoted to developing the characters. Wolfe does an excellent job of creating a strong female protagonist in Alex, a character that you root for from start to finish. The political elements of the story are well-done and draw you into the world of shadowy diplomacy and secret plots. This is a great book for anyone who likes political thrillers!